Chelmsford attorney delivering results in personal injury, civil litigation, and real estate cases for more than 25 years The Law Offices of Kevin S. Sullivan, LLC represents clients with personal injury, civil litigation, and real estate legal needs. Located in Chelmsford, Massachusetts, we serve clients throughout the surrounding area in Middlesex, Essex, Worcester, Suffolk, and other Counties. If you are trying to recover lost wages after a car crash or collision (sometimes mistakenly called an accident), if you need representation to fight a denied insurance claim, or if you need a lawyer to review the contract for the purchase or sale of your home, we have the skills, experience, and commitment to take your case. Practicing for more than 25 years, Attorney Kevin Sullivan is a persistent and skilled problem-solver who delivers both results and superior service to each client. You can expect - and you will receive - the following from an engagement with the Law Offices of Kevin S. Sullivan, LLC: -Superior client service - Clients receive personal attention from start to finish. We are accessible and responsive - promptly returning calls and email messages. In our personal injury practice, we see clients during some of the worst times of their lives. We are compassionate and take great satisfaction in forging a relationship with clients as we build their case. 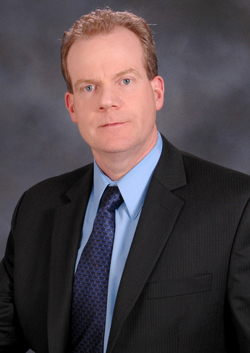 -Skilled representation - Attorney Kevin Sullivan brings more than 25 years of experience to each new case. Clients benefit from his litigation, arbitration, and mediation skills, and from our extensive file of case histories that we draw upon to identify winning strategies for our clients. -Results focus - We are vigorous advocates for our clients and are proud of our record of success and client satisfaction. Clients benefit from our outstanding reputation within the legal community, which strengthens our position in each litigation, arbitration, and mediation . The Law Offices of Kevin S. Sullivan, LLC represents clients in personal injury, civil litigation, and real estate cases. -Personal Injury - We have experience in auto crashes or collisions (sometimes mistakenly called accidents), slip and falls, trip and falls, unsafe work conditions, and more. -Civil Litigation - At the Law Offices of Kevin S. Sullivan, LLC, we handle breach of contract, property damage, insurance claim, and other litigation cases. -Real Estate - Attorney Kevin S. Sullivan represents clients in residential and commercial real estate matters. Chelmsford attorney has more than 25 years of experience helping victims recover for their losses The Law Offices of Kevin S. Sullivan, LLC successfully helps injured clients recover full and fair compensation for losses resulting from auto crashes or collisions (sometimes mistakenly called accidents), unpaid wages, slip and falls, trip and falls, and unsafe work conditions. We also represent people with workers' compensation claims. Seeking full and fair compensation for injuries Personal injury claims are brought by victims who suffer physical or psychological injury directly because of another person's negligence. At the Law Offices of Kevin S. Sullivan, LLC, we use a practical, professional approach to help ensure that our clients obtain full and fair recovery for their injuries, including damages for their past and future medical bills, lost income, emotional distress, and pain and suffering. We use our extensive civil litigation experience, our knowledge about insurance company tactics, and our negotiation skills to obtain the best-possible recovery for our clients whether through trial or settlement. Personalized legal guidance At the Law Offices of Kevin S. Sullivan, LLC in Chelmsford, our clients' interests are our priority. We provide personalized legal guidance at every step of your case, updating you on progress and fully informing you about the legal strategy and recovery options that are available. We consult with knowledgeable and respected experts to assist with case preparation. With the assistance of physicians, trauma doctors, pharmacists, chiropractors, forensics engineers, mechanics, and accident-reconstruction analysts, we are skilled at negotiating and achieving the best-possible results through trial or settlement. At trial, these experts are available to deliver clear, professional testimony for our clients. Protecting your claim Massachusetts law sets limits on the amount of time in which you have to file a personal injury claim. As soon as possible, consult an experienced personal injury attorney so that your claim is filed within the crucial statutory deadlines. By investigating your claim immediately, we help ensure that valuable evidence remains available and that witnesses' memories remain fresh.